In Wealth, Carnegie examines the modes of distributing accumulated wealth and capital to the communities it originates from. He preached that ostentatious living and amassing private treasures was wrong. He praised the high British taxes on the estates of dead millionaires, remarking that "By taxing estates heavily at death the State marks its condemnation of the selfish millionaire's unworthy life. It is desirable that nations should go much further in this direction." His "gospel of wealth" earned much praise, but did not win many converts. Carnegie made it clear that the rich were best suited for the recirculation of their money back into society where it could be used to support the greater good, given that they are presumed to have a penchant for management of capital. However, he shunned aristocratic chains of inheritance and argued that dependents should be supported in moderation, with the bulk of excess wealth to be spent on enriching the community. In cases where excess wealth was held until death, he advocated its apprehension by the state on a progressive scale: "Indeed, it is difficult to set bounds to the share of a rich man's estate which should go at his death to the public through the agency of the State, and by all means such taxes should be grated, beginning at nothing upon moderate sums to dependents, and increasing rapidly as the amounts swell, until of the millionaire's hoard, at least the other half comes to the privy coffer of the State. He claimed that, in bettering society and people here on earth, one would be rewarded at the gates of Paradise. 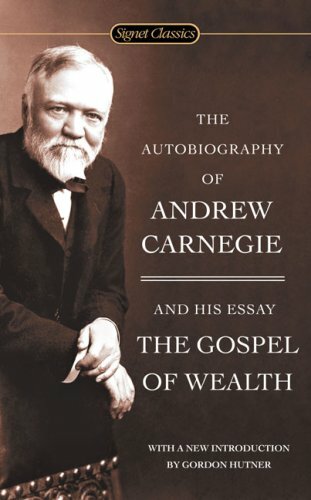 Carnegie's idea did not win many converts: It is a sad reality that the wealthiest amongst us are not philanthropists. Percentage wise more is given to charity by the poor than the rich. Even religious people are not generous tippers. Apprehension of estates by the state on a progressive scale: I suspect that most of us will balk at this idea because we want to pass on our estates to our families and not strangers. The next question raises the issue of how much should be passed on. Dependents should be supported in moderation: Whether before or after death this seems to be a good idea. Inherited wealth rarely does anyone good when it is lavishly bestowed to ungrateful heirs. It is good for people to earn their keep. Ostentatious living and amassing private treasures is wrong: Reminds me of the rich man that came to Jesus and was instructed to sell all he had. Also remind me of the man who kept building larger barns for his grain and was called a fool when he died. Bettering society and people here on earth will be rewarded after death: Also reminds me of a passage in the bible where Jesus tells us to lay up treasure in heaven. Salvation comes by grace. Gracious giving should be evident in the life of a believer. 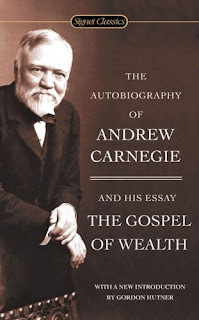 I am interested in what you think about Carnegie's thoughts about wealth and philanthropy. Please let me know what parts of his ideology you agree or disagree with. The death tax is a scourge for family-owned businesses, destroy jobs, lowers wages, and stifles entrepreneurship. We are plunging headlong into Marxism, all in the name of "good" and we will pay the price. I often wonder what motivates billionaire unbelievers like Bill Gates and others to give away large amounts of money? Sadly, many unbelievers seem to do a better job at giving to charitable causes than many professing Christians. #1 The more you have the less you want to give. The more you have the more you want. #2 Why does the government think that they can take money from others, just because they have money? I work for the government. They are the most wasteful organization I know of. The less money government has the better off all will be. #3 I agree. Money usually hurts those who haven't earned it. It also hurts those who earn it but not as much. #4 I agree. Money and things should be tools and not treasures. #5 I agree. It is hard to give money away wisely. Many that receive money squander it. And if you give them a lot they want more. There is one rule about money I have learned. 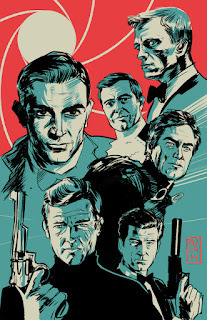 "There is never enough money." I would agree wealth should be shared and not horded, but I also agree that I do not trust the government to make the best use of the money it obtains in taxes and would want to keep taxes as low as possible. "Euphemism - The act of substituting a mild, indirect, or vague term for one considered harsh, blunt, or offensive." Want an example? Look at the "key points" above; "Apprehension of estates by the state". Why not call it what it really is - looting, stealing, communism. It's funny how we have the lowest tax rates in 60 years -- and the top 1% of Americans control more of the wealth than the bottom 90%. Wealth that could be spent by people on food, clothing, education, recreation is kept locked away in vaults by those who value money more than people. This is actual the #1 problem in American and no one talks about it (well, except Kansas Bob). Greed will destroy this country. The current recession caused incomes to plummet to historic lows causing tax revenues to plunge - and putting many into lower tax brackets. Many have been forced into minimum wage jobs, causing a decrease in tax revenue and tax collection. Anyone with an inkling of how taxes work can see how this lead to the “lowest tax rates in 60 years”. In addition 50% of all Americans now pay zero Federal tax and the top 20% of income earners pay almost 90% of all Federal taxes. The actual #1 problem in American is not greed; it is the hare brained clamor for Marxism. If you think America before 2002 was a Marxist country, you and I did not grow up in the same America. Currently Japan has the distinction of having the highest corporate income tax rate in the world (39.5 percent). The United States is a close second, only a few tenths-of-percentage points behind. Japan will soon fall from the top spot because it has finally recognized what the rest of the industrialized world realized over a decade ago: A low corporate income tax rate is vital for economic growth in the global marketplace. Tax rates have fallen significantly from the 1960s. The top rate today is 56 percentage points lower than it was in 1963, so the incentive to work hard and get ahead is a lot bigger now. But if President Obama’s plan to raise the top two marginal income tax rates to Clinton-era levels and the House’s plan to slap a 5.6 percent surtax on top of that to partially fund a nationalization of the health care system into becoming law, the top average tax rate in the U.S. will climb to 52 percent- higher than in France, Italy, Germany and Spain. Many workers faced with a marginal tax rate that takes over half of their additional income will decide the extra effort just is not worth it- just like workers in the 1960s did. This will impede economic growth at the worst possible time as the economy suffers through its most severe contraction since World War II. I hope you will see Ayn Rand’s move in April, “Atlas Shrugged”. Rand's heroes must continually fight against "parasites", "looters", and "moochers" who demand the benefits of the heroes' labor. Edward Younkins describes Atlas Shrugged as "an apocalyptic vision of the last stages of conflict between two classes of humanity- the looters and the non-looters. The looters are proponents of high taxation, big labor, government ownership, government spending, government planning, regulation, and redistribution." You may side with the Marxist, Maoist, and Communist officials that Obama has appointed to our government,if you wish, but as for me, I choose to defend America.